10 Odd & Interesting Off-the-Beaten Path Arizona Destinations - Top Ten Travel Blog | Our experiences traveling throughout the US. It is no secret that Arizona is home to some of the most unique landscapes in the country. With 6 distinct ecosystems, the state is one of the most geologically diverse in the country. Northern Arizona is most commonly associated with magnificent national parks, while the Southern portion of the state is most known for the fascinatingly unique Sonoran desert & Saguaro cactus. With picturesque Oak Creek Canyon, the gorgeous red rocks of Sedona, the high altitude pine forests of Flagstaff, dozens of world class winter vacation resorts in Phoenix and Tucson, spring training baseball games, and the magnificent Grand Canyon, Arizona sees millions of tourists each year, easily making it one of the most popular year-round vacation destinations in the country. Despite the popularity, and resulting crowds and traffic, there are still a few fascinating hidden gems to explore besides the token national parks and relaxing winter resorts. The great thing about these unique attractions is that most of them are free, proving that you really do not need to spend much money to enjoy the state’s most fascinating sites. Here are 10 of my favorite eclectic off-the-beaten path Arizona attractions and activities! Enjoy reading this list and be sure to share some of your favorite Arizona oddities! 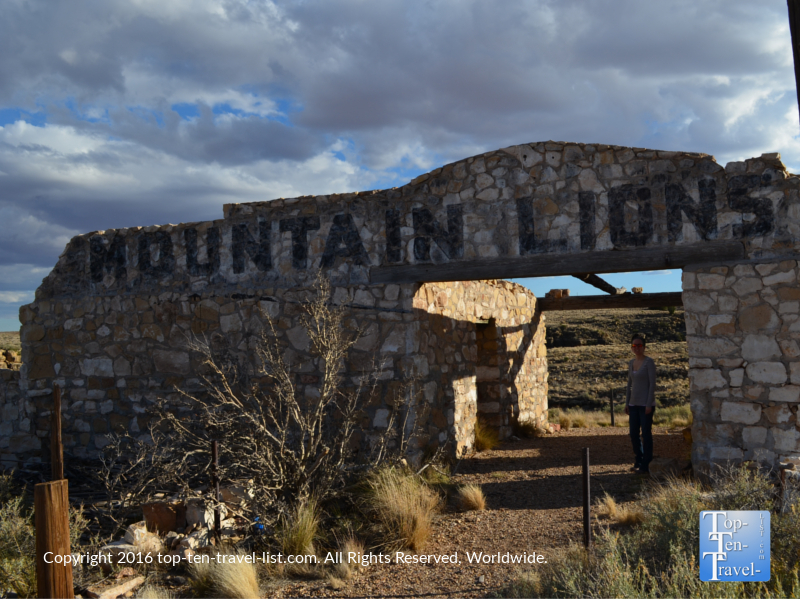 30 minutes east of beautiful high altitude Flagstaff lies the remains of an unusual ghost town which was once home to a thriving zoo. Not much remains asides from a few crumpled down enclosures and a Mountain Lions exhibit sign, although it’s quite interesting to explore what once was a very popular Rt 66 attraction. Like all other Mother Road attractions, the zoo ended up closing once the new Highway was built. It’s a bit spooky walking around knowing that a zoo once existed where now stands nothing but barren desert land. It’s crazy to think just how much an area can change within a few short decades! 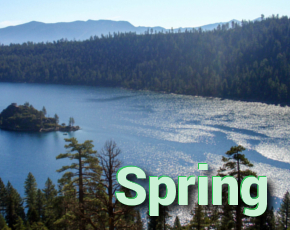 Here’s an underappreciated gem in the Northern portion of the state which is definitely worthy of a look if you happen to be staying or traveling near the Northern Arizona region. At this unique national park, you will get the opportunity to look at one of the largest collections of petrified wood in the world. 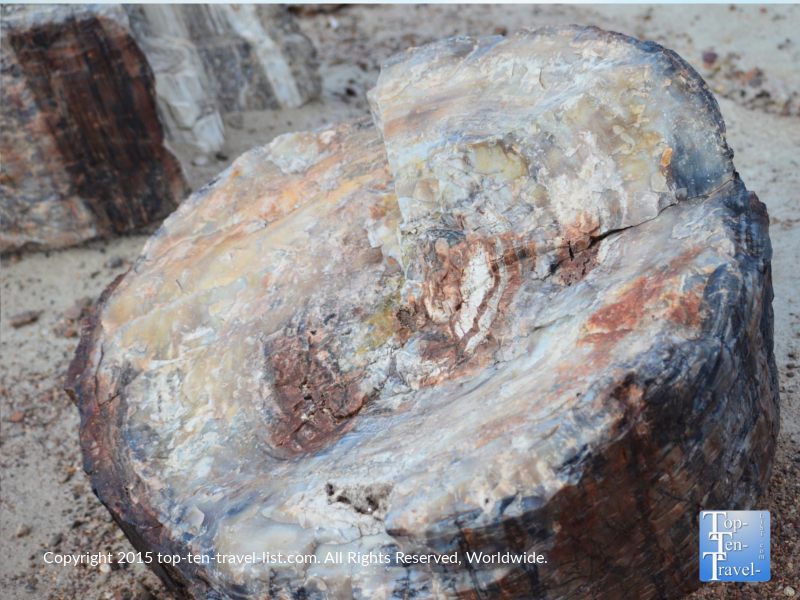 Petrified wood refers to trees which have been turned into stone via the process of permineralization. The crystals result from the replacement of the organic materials with quartz. These trees are over 225 millions years old, dating back to the Triassic Period. Various means to explore the beautiful fossils including scenic hikes, a picturesque loop drive, overlooks, and an interpretative visitor’s center give you more than enough activities to make this a worthwhile day trip. After just one visit to Sedona, you will definitely feel something strange in the air. The awe-inspiring, mysterious red rock views combined with an odd New Age vibe make it quite an eclectic vacation destination. However, it is also one of the Southwest’s most beautiful vacation destinations, and the trails here are amongst the best you will find anywhere in the country. 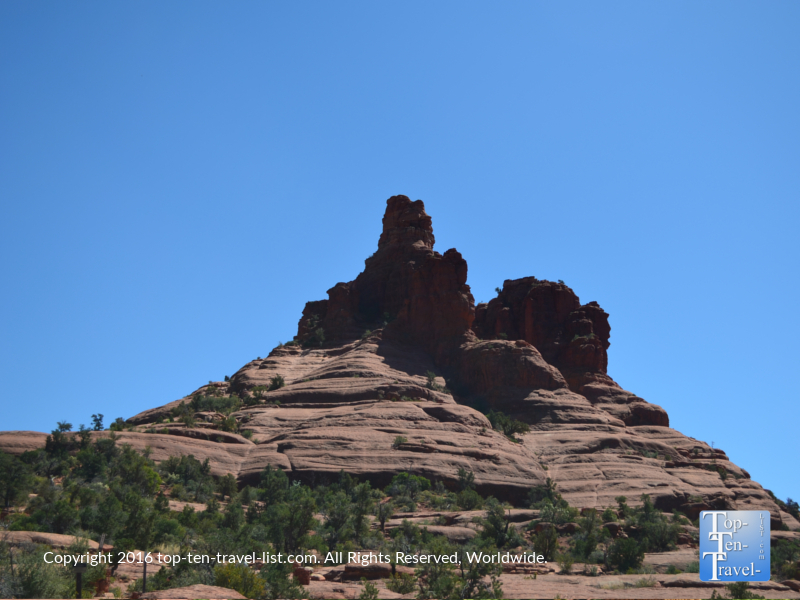 Check out my top 12 Sedona trails! One of the most unique aspects of the already strange Southwest city is the presence of purported vortex sites. Sedona is considered to be an area of positive vortex energy, which basically means that anyone visiting may feel a positive vibe or sense of healing. Really though, it’s quite hard to visit and have a negative outlook considering the jaw dropping red rock views surrounding you in every direction. While the whole of Sedona is considered to be a vortex, 4 particular hikes along with the Chapel of the Holy Cross are said to possess the most intense vortex energy. Check out Bell/Cathedral Rock, Airport Mesa, or Boynton Canyon hikes, all said to possess strong vortex energy. Bell Rock is said to be the strangest as numerous people over the course of several decades have reported UFO sightings. No one really knows if these vortex energies are real, although I can guarantee one thing, and that is, that you will surely leave with a more positive outlook after completing one of these breathtaking hikes. 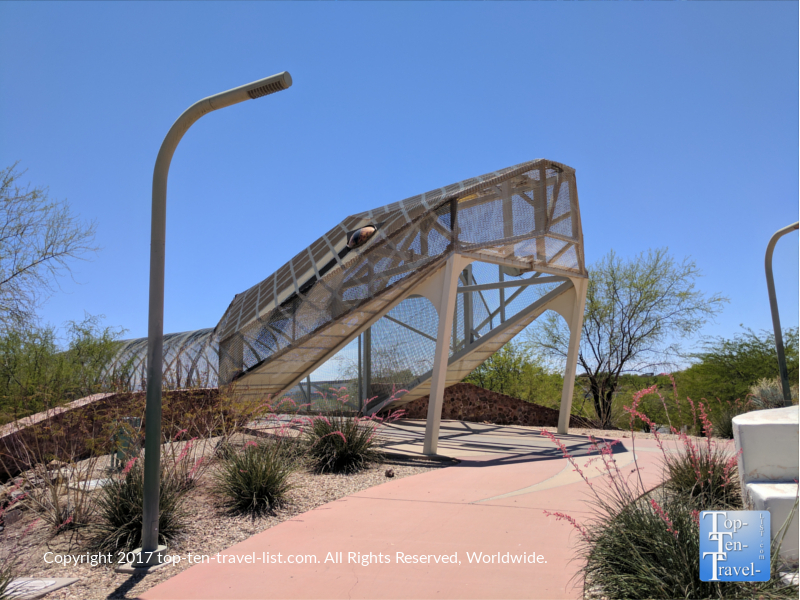 Diamondback Bridge is an attractive rattlesnake themed bridge near downtown Tucson: a pretty fitting choice for the Southwestern city as the Sonoran Desert is home to one of the largest concentrations of these feared venomous snakes. This unique bridge is quite a sight to see and has even won several awards including the Excellence in Highway Design award. Although it’s visible from the highway, it’s much more fun to walk or bike across the bridge as the views are great and the tail rattles after you cross! While the bridge is not worth going out of your way for, it’s worth a look if you happen to be visiting downtown Tucson for the day. Santa Claus is another weird Arizona ghost town, and like 2 Guns, also pops up in the middle of the desolate desert. 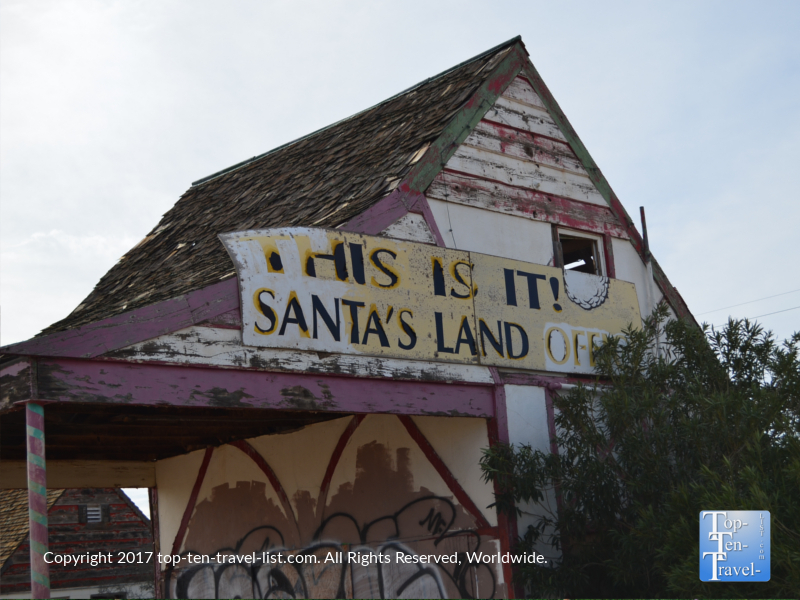 This one is even more unusual as it is home to the (very run down and graffiti covered) remains of a Christmas themed town which was once home to a popular Santa themed amusement park. Unfortunately, what once stood as a whimsical Santa themed land is now anything but cheerful – in fact it is downright depressing! Santa Claus, AZ is one of the many sad testaments to how time can change places so drastically! If you are interested in seeing the strange ruins of an old Christmas town in Arizona, this one is right on the way to Vegas. It’s just a quick detour off of US 93 about 20 minutes north of Kingston. If you are coming from Flagstaff, it’s a quick place to stretch your legs (the halfway mark to Vegas) before getting back on the road again for another 2 hours. 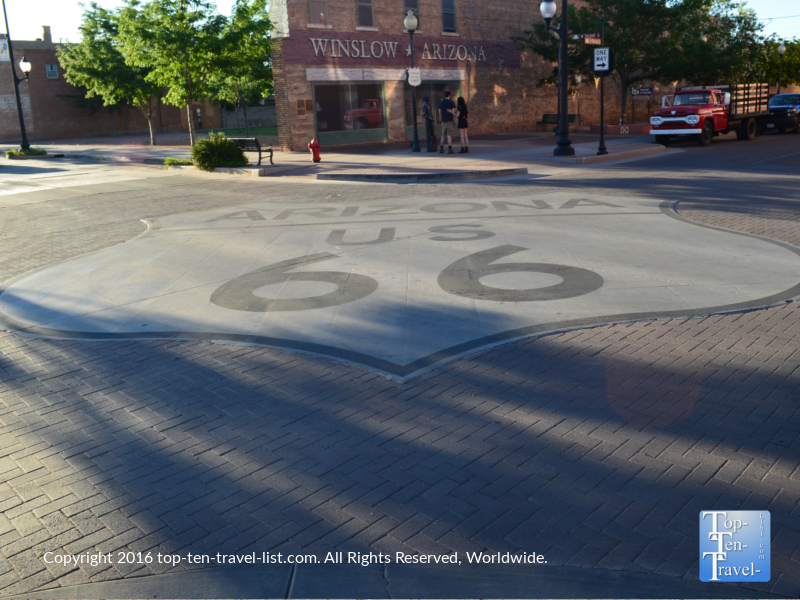 If you are a Rt 66 fan, you may want to check out Kingman as well on the way as there are numerous attractions including colorful Mother Road murals and a Rt 66 museum. Jerome is often referred to as the “largest ghost town in America.” Today, the small Northern Arizona community resembles anything but a ghost town as it is has been revitalized with art galleries, boutiques shops, and trendy restaurants. Jerome is becoming a popular daytrip destination for those vacationing in the Northern Arizona region, although the ghostly legends still remain. The same eerie ghost sightings have been reported at various locales throughout town for decades. At one time, a special newspaper called the Jerome Ghost Post was even published. Unlike other haunted towns where just one building is haunted, almost all of Jerome is said to be haunted! Taking a ghost tour anytime of year, especially around Halloween, is a pretty fun experience. Various paranormal groups have visited the area and reported the same creepy ghost sightings. 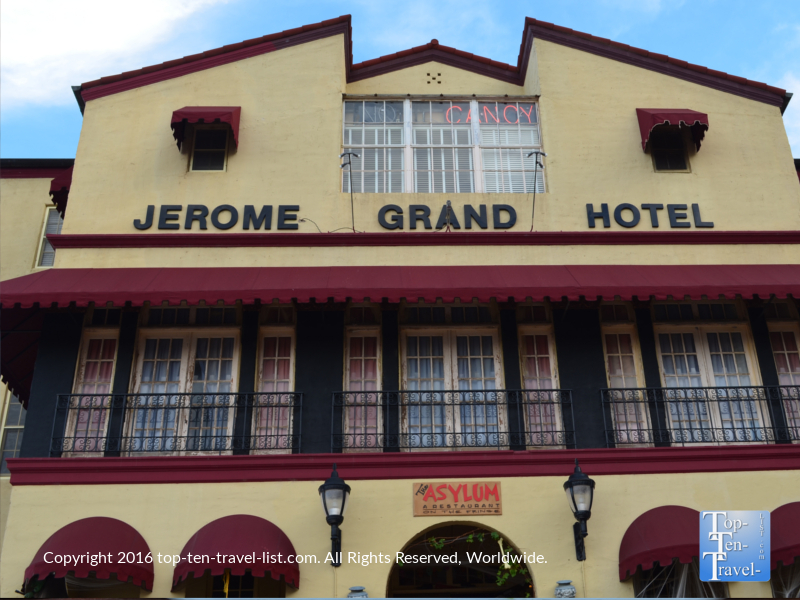 The most haunted building in town is the Jerome Grand Hotel, not surprisingly, as it once was a mental institution. 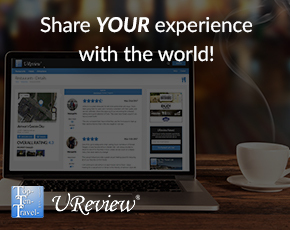 You can sign up for a narrated ghost tour where you will be able to use real ghost hunting equipment. And, if you are up for a real scare, you can spend the night in the spooky hotel (many guests get so spooked that they end up sleeping in the lobby or leaving!) or opt for the safer route and simply dine at the hotel’s restaurant, the Asylum, which of course, goes all out in the decor department around Halloween. This quirky attraction pops up in the middle of nowhere -you can’t miss it as there are more than enough billboards! Winslow itself is an odd town as it resembles a ghost town despite having a population of almost 10,000. The downtown is pretty much barren asides from this attraction and a few Rt 66 gift shops. Also be sure to check out “The World’s Smallest Church,” which oddly is not the world’s smallest, but rather the smallest on the Mother Road. Standin’ On a Corner is a must-do detour for any classic rock fans making their way out to the Petrified Forest or any other NE Arizona/Western New Mexico point of interest as it is directly on the route! In Winslow, you must also plan for a terrific lunch at The Turquoise Room inside the beautiful historic La Posada Hotel. Location: 100 E Second St Winslow, AZ 86047. Plenty of free street parking available. One of 100’s of unique miniature dollhouses at the Min Time Museum. The Mini Time Museum one of the more interesting places to visit on any Tucson vacation. 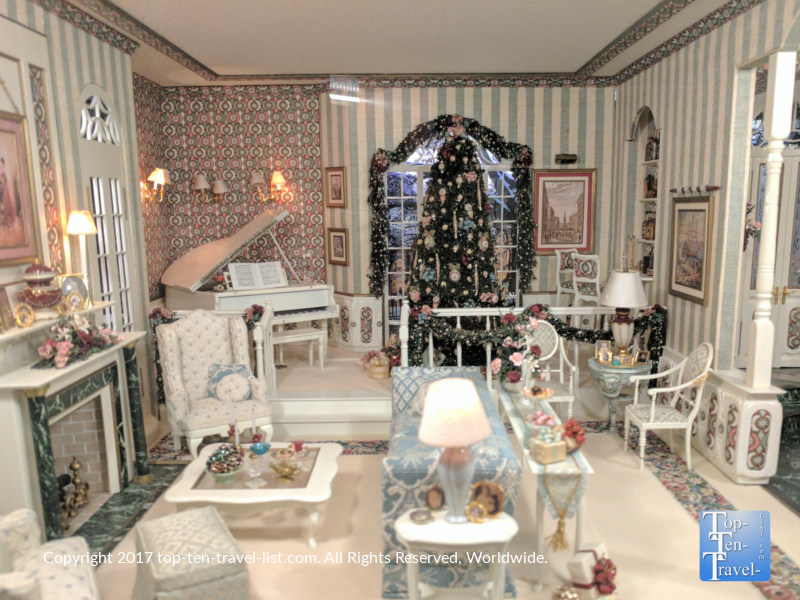 While most of the museums in the Tucson area focus on Arizona state history, this one is a bit more unusual in that it showcases more than 400 antique and modern dollhouses. There is so much detail in all these tiny pieces, it’s quite crazy to think that anyone could even accomplish such an impressive artistic feat. For a trip down memory lane, the Mini Time Museum is a must see. The museum is just 9 bucks a person, although you can find a 2 for 1 brochure at almost any hotel. The annual Tumbleweed tree in Chandler truly is a unique work of art! Every year Chandler, a nice little suburb in Phoenix, puts on quite an unusual Christmas display. 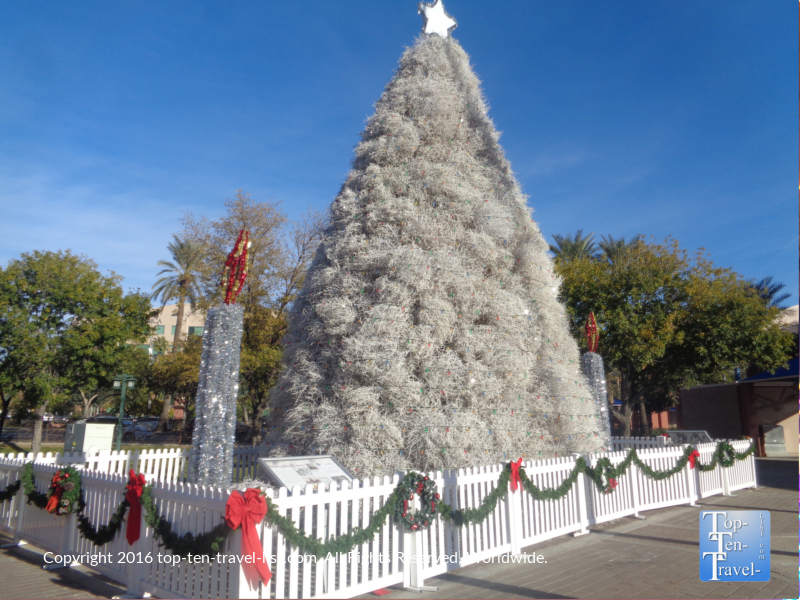 The annual Christmas tree downtown is composed entirely of tumbleweeds, making it the last still standing tumbleweed tree tradition in the Southwest. Tumbleweeds are collected beginning in October, followed by a long process of constructing the tree, glittering, and painting. The end result is pretty amazing, and definitely one the most unique holiday sights you will come across. If you happen to be planning a winter escape to the desert this is just one of a number of interesting attractions to check out. Also be sure to look into the Phoenix Zoo Lights and the beautiful real desert themed ice rink at the Scottsdale Fairmont Princess. Flagstaff is home to many beautiful trails and also offers close access to numerous natural wonders. Although there are dozens of gorgeous pine and aspen loaded trails scattered throughout the area, one of the most unusual options is the newer Picture Canyon Natural and Cultural Preserve. 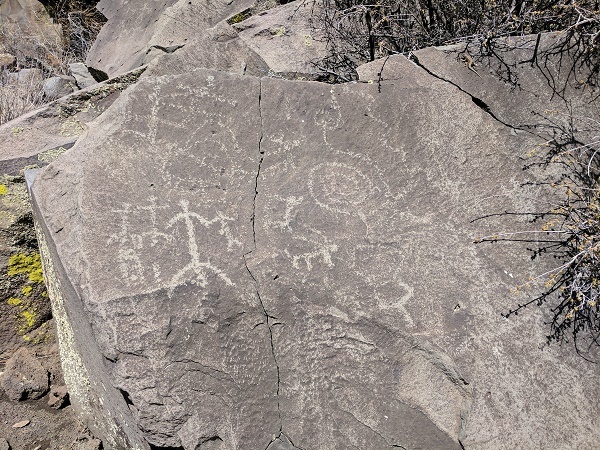 Over 800 petroglyphs from the Northern Singua tribes who occupied the area between 700-1300 A.D can be found at Picture Canyon. As a downside, this trail is pretty poorly marked, so hopefully they will put some effort into improved trail markage in the future. As the trail is loaded with pretty ponderosa pines, it also doubles as an nice nature stroll. 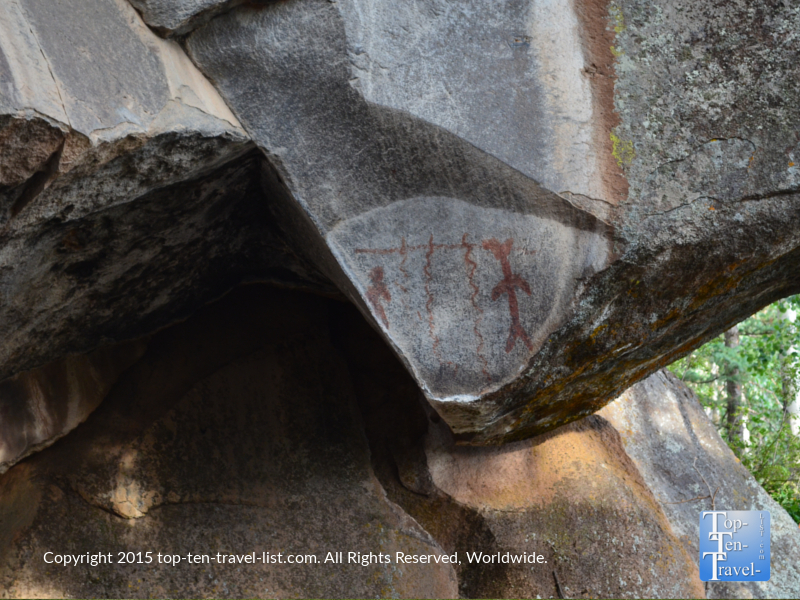 Veit Springs is another great Flagstaff trail with pictographs. Although there are only a few, the trail is much more scenic as it is located at a higher altitude, and thus, is loaded with gorgeous aspens which shimmer a brilliant gold come fall. I would never recommend Picture Canyon above some of the more gorgeous trails in town (check out Inner Basin, Bear Jaw, the Aspen Nature Loop, and Slate Mountain first), although it’s a nice addition if you are staying in the area longer and looking for something unique to do! 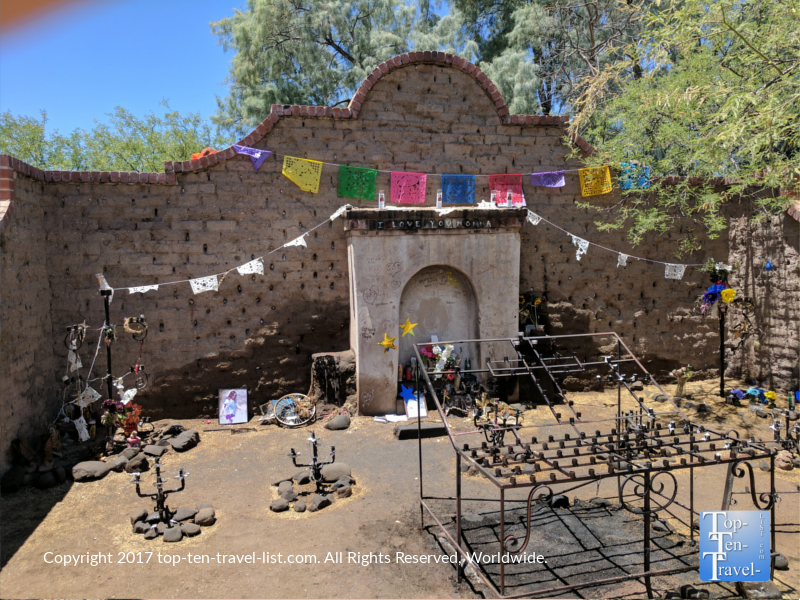 El Tiradito is a historic site near downtown Tucson which has the unique distinction of being the only only US shrine dedicated to the soul of a sinner buried in unconsecrated ground. Visitors began lighting candles to free the soul of Juan Oliveros. Juan, who was having an affair with his mother-in-law, was caught, and killed at the site where the shrine sits today. Legend says that if you make a wish while lighting the candle and the flame burns throughout the night that your wish will come true. The shrine is a quick stop if you are already visiting the downtown area, although not necessarily worth going out of your way for unless you are a major history buff. 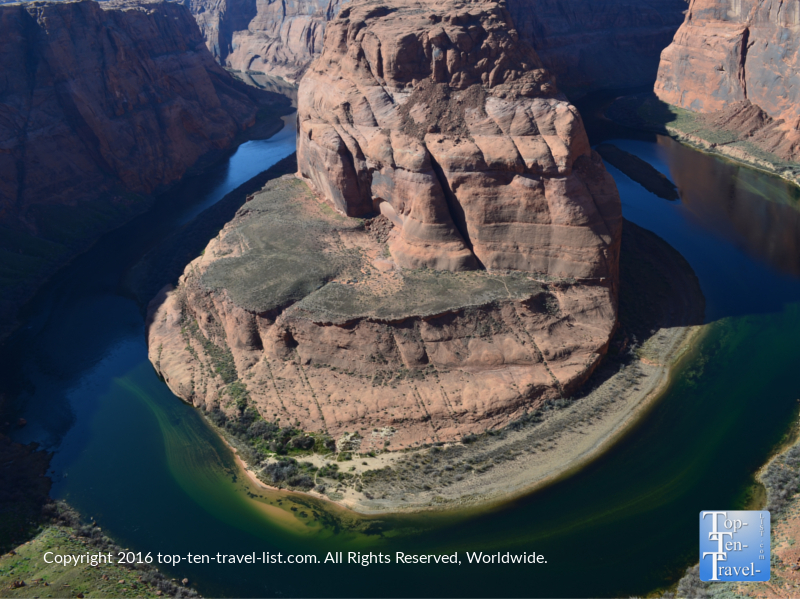 Horseshoe Bend is one of numerous must-see natural attractions in Arizona, and definitely worth checking out if you are staying or traveling anywhere near the Northern Arizona/Southern Utah region. It’s a perfect roadtrip stop on the way to any of the fabulous Utah national parks, especially Zion since it is so close by. This natural wonder truly is unique due to the odd horseshoe like shape that the Colorado River naturally formed around the sandstone formation. A short & steep hike takes you to a stunning overlook with a 1000 foot drop. The hike is not at all shady and brutally hot most of the year, not to mention quite a workout, although worth it for the grand views. Plus, it is completely free!